The Gothenburg sound, as made known through bands like Dark Tranquillity and Ebony Tears, has created a large following. Countless bands have created albums in the same intense style, many of them equally good listening experiences. 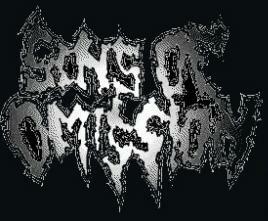 Sins of Omission are a recent addition to the Gothenburg sound list of bands, with their debut (?) album "The Creation". The CD kicks off properly with "Eager for the Fray", a song that could have been straight off Dark Tranquillity's "The Gallery", with intense yet melodic guitar work. The remaining tracks are perhaps slightly less than "Eager for the Fray", but nonetheless all pretty good. Especially towards the end you will find a few other gems in the form of "Let Them March", "The Serpentine Route" and "Exhibition of Sins". Good drumming, really aggressive vocals. A good combination.